Ubud has so much to offer, we recommend that all visitors to Bali spend at least a few days there. When in Ubud you can experience Balinese culture, adventure through nature, and pamper yourself. Here are our favorite things to do in Ubud to help you plan your stay. The beautiful rice fields are a signature of Ubud. The most popular and touristy are Tegallalang Rice Terraces which are about 30 minutes north of Ubud. The other famous rice fields are Jatiluwih Rice Terraces. These are a little more difficult to get to, being about 1.5 hours from Ubud, but are also much less crowded. If you are too short on time to make the trek to one of these rice fields, there are plenty of smaller rice fields all over Ubud so go explore! If you love animals, the Ubud Monkey Forest will keep you entertained for hours. With over 700 monkeys in this sanctuary, you are guaranteed to witness some hilarious monkey interactions. Some of the highlights of our visit were having a baby monkey crawl up my leg, observing a monkey trying to learn how to use the water fountain, and watching several monkeys and tourists fight over backpacks and water bottles. 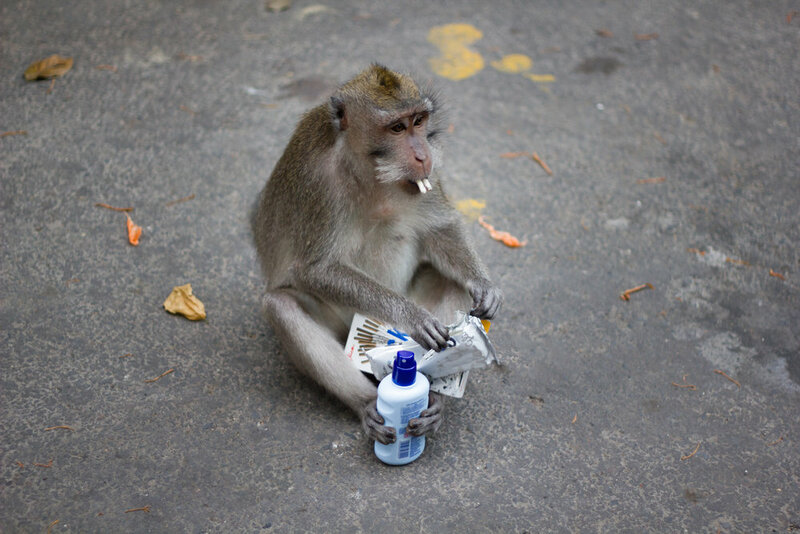 That being said, avoid bringing food, water bottles, or plastic bags with you as this can make the monkeys aggressive and you don't want to get bitten or scratched! Ubud is surrounded by natural beauty and we highly recommend seeing as many waterfalls in this region as you can! Tegenungan waterfall is the most popular of the bunch but is conveniently only 20 minutes from Ubud. Tibumana, is a less crowded but smaller waterfall located 30 minutes east of Ubud. About an hour from Ubud, Tukad Cepung is a beautiful waterfall hidden in a cave, and is definitely worth the longer trip if you have the time. There are temples of all sizes all over Ubud and its outskirts. Saraswati Temple is the most well known as it's located in the center of Ubud. In spite of its location, it is surprisingly peaceful here and you may even see local children fishing in the lotus ponds in front. Tirta Empul, Gunung Kawi, and Goa Gajah are all other nice temples less than 30 minutes from Ubud. Beji Guwang Hidden Canyon is truly a hidden gem of Ubud. 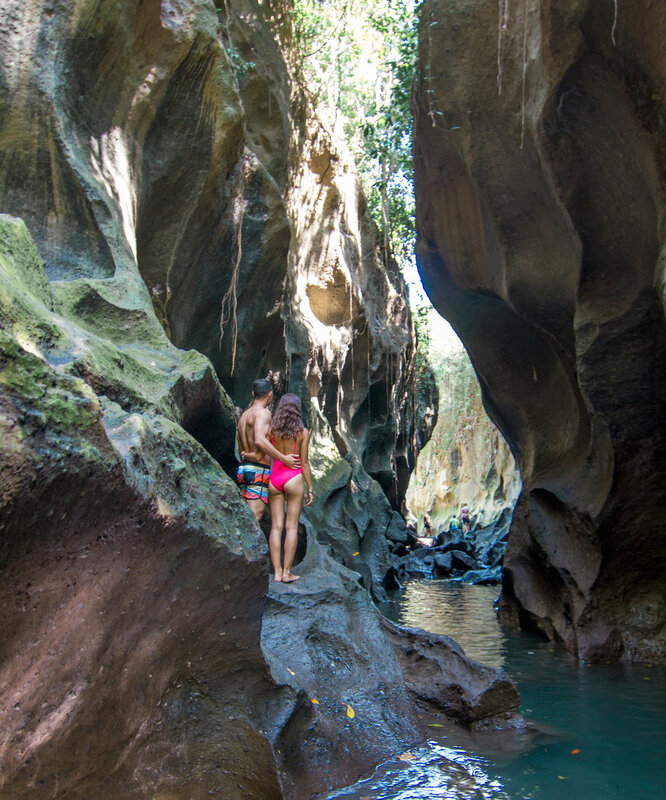 On the trek you will spend 1-2 hours climbing and swimming through 3 canyons while led by a local guide. These canyons are actually about 30 minutes south of Ubud, but are definitely worth the drive. Campuhan Ridge Walk is the most well known nature walk in Ubud. This is by no means a hike, the trail is less than 2km each way and is mostly flat throughout. It is still a lovely walk with scenic vistas. Don't forget to reward yourself at one of the many warungs and spas at the end! There are countless amazing cooking classes in Ubud but we highly recommend Jambangan Bali Cooking Class! In this class, you first visit a local market and rice farm to learn about the ingredients used in Balinese cuisine. Then you cook about 9 different traditional dishes and sauces and learn how to make coconut oil. The class size is kept small so that everything is hands-on, and the family that runs the class is so sweet! When in Ubud, indulge in a massage, body scrub, flower bath, or even a pedicure given by tiny fish. You'll find countless spas all over Ubud and the prices are hard to beat. Karsa Spa, our favorite Ubud spa, is located on the Campuhan Ridge Trail. After your choice of massage, you can relax in a gorgeous flower bath in a tranquil outdoor treatment room. They are often booked weeks in advance, so make a reservation before you head to Bali! Ubud is a yoga Mecca and you'll find teachers and students from all over the world here. 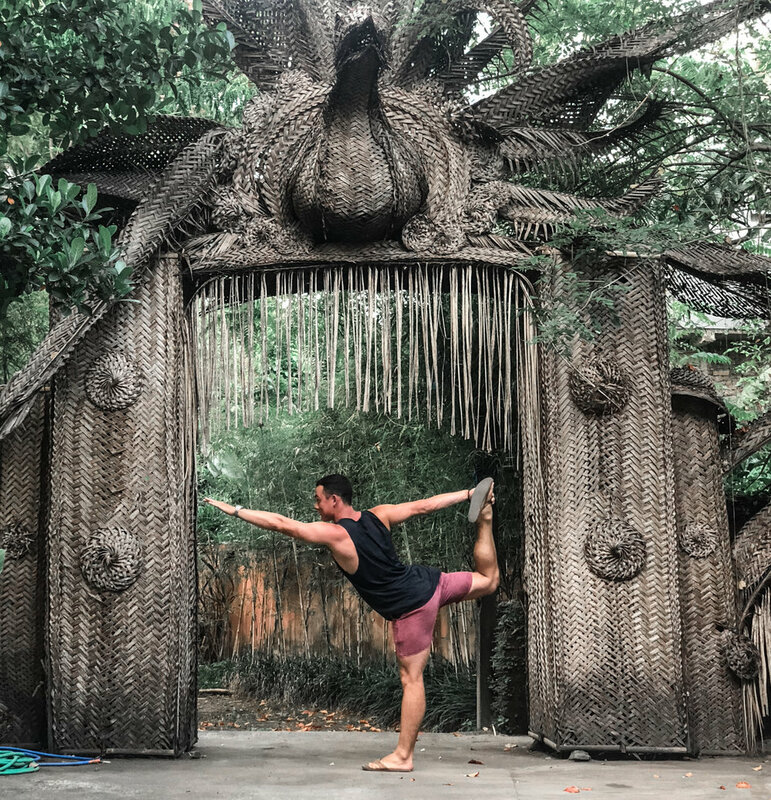 There are dozens of yoga studios to choose from in Ubud but The Yoga Barn is my personal favorite. With around 20 classes per day they really have something for everyone. Don't miss their Acro Yoga, Tibetan Bowl Meditation and Vinyasa Flow classes. Another good yoga studio to check out in Ubud is Radiantly Alive. The Ubud Traditional Art Market is the hub for shopping for handmade goods in Bali. They have everything including woven bags, leather sandals, linen clothing and inappropriately shaped bottle openers. If you'd rather avoid the crowded maze of the art market, there are plenty of other boutique shops offering unique goods that are scattered across Ubud. The easiest and cheapest way to get around Ubud is to rent a scooter. There are plenty of scooter rental shops in the center of Ubud where you can rent a scooter for $3-$4 USD per day. Many accommodations will also help you find a scooter and have it delivered to where you're staying. The main alternative to scooters is hiring a driver. This option is more expensive and generally slower because you'll be at the mercy of insane Bali traffic. However, for larger groups and those unaccustomed to driving scooters, this might be your only option. In central Ubud you'll have taxi drivers constantly asking you if you need a ride, so finding one is fairly easy. But if you need a driver super early in the morning, late at night, or for longer distances, make sure to book your driver ahead of time as it might be harder to find one on the spot. Try to bargain as the price is always flexible. Full Circle - For the best third wave coffee and interior design you may see in all of Bali. This cafe is run by Expat Roasters, who also have a location in Seminyak. Puspa's Warung - For delicious traditional Indonesian food for crazy cheap prices (under $1.50 USD for an entree). 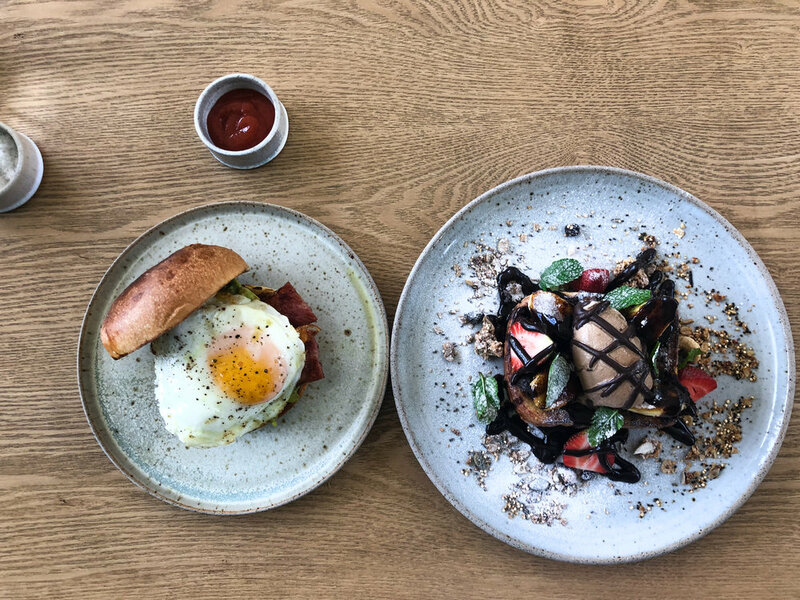 Dumbo - For creative vegetarian Italian dishes and drinks. Don't miss the tempura zucchini flowers and creamy burrata! Wanna Jungle - For reasonably priced drinks by a three tiered infinity pool overlooking the lush Balinese jungle. Room4Dessert - For the featured-on-Netflix, 9 course dessert tasting menu. You might not love all the desserts but it will definitely be an experience. Make reservations well in advance! $ - Sari House: For basic budget accommodations located smack dab in the center of Ubud. The rooms are large and surprisingly quiet given the location. $$ - Pecatu Ubud Guest House: For a rooftop infinity pool at an affordable price. Located just outside the center of Ubud. $$$ - Zen Hideaway: For the open-air spaces that you've been eyeing on Instagram. These insta-famous villas are located about 30 minutes outside of Ubud center, house 3-6 people, and come with a private Bali swing! $$$$ - Hoshinoya Bali: For tranquil, Japanese-inspired design, flower baths, the spacious pool and breakfast in one of the coolest treehouses you may ever see.